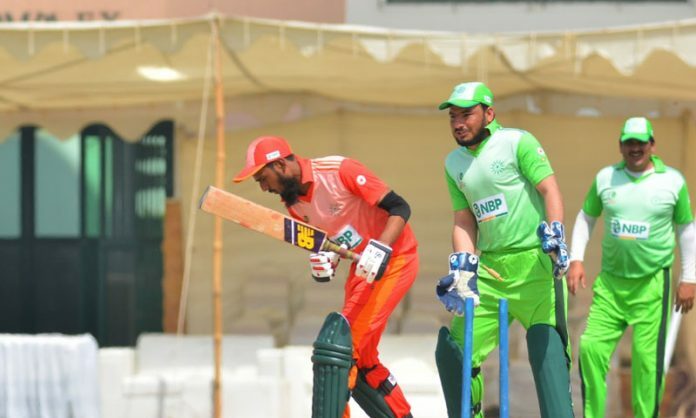 The Federal Areas and Baluchistan have started their Disabled T-20 Pentangular Cup campaign on a winning note at National Sports Complex, Karachi on Monday. Federal Areas defeated Punjab by eight wickets while Balochistan pulled the carpet under Sindh’s feet as they clinched the high-scoring match by five wickets. While batting first in the opening match of the tournament, Punjab posted a decent total of 148 runs on the scoreboard with Wajid Alam smashing 71 runs off 48 balls including eight boundaries and six maximums. Umar Farooq, on the other hand, scored 37 runs with the help of a six and four. Gohar Ali bagged three wickets for Federal areas conceding just 19 runs. Jahanzaib Tiwana struck twice. In reply, Jahanzaib Tiwana showed courage with the bat by scoring 80 runs off just 40 balls and single-handedly took away the match for Federal Areas against Punjab. Hamza Mahmood contributed 34 runs to his team’s total. Mohammad Haris hunted two scalps and conceded 28 runs in his four overs for Punjab. In the second high-scoring encounter, Sindh made 203 runs for the loss of three wickets after being asked to bat first by Baluchistan. 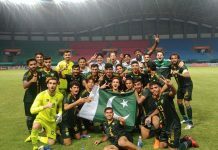 Mohammad Aslam pushed his side to score a mammoth total by scoring unbeaten 78 runs with the help of eight strikes to the boundary and four sixes. Altaf Ahmed blasted his way to scoring 65 runs off 51 balls. Adil Abbasi picked up two wickets for Baluchistan conceding 25 runs in a four-over spell. Ton-up Adil Abbasi steered Baluchistan to chase 204 runs. He scored 118 runs off 59 balls including 12 hits to the fence. One-handed batsman Matloob Qureshi made 52 runs to play a major role in his team’s victory.